We are an online Texas culture magazine covering food, music, art, entertainment and travel across the Lone Star State. Our target demographic is 21-40 years old, with our largest readership in the ages of 18-34. Our content is geared towards Texans living in Texas and around the world. Since our launch in February, we’re averaging 57,000 unique visitors per month and are continuing to grow. We have a strong social media presence and our users are very loyal. Right now is a prime time to start an advertising relationship with CSTX as we are on the verge of launching a number of new features which will be perfect for sponsorships and prime advertising space. Advertising opportunities range from sidebar cards and full-width banners to sponsorships of new features on TheCoolestStuffInTexas.com as well as sponsorships of our bus. 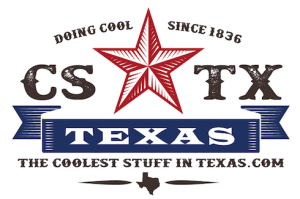 If you are interested in growing and promoting your business with The Coolest Stuff in Texas, please contact us via the form below or by emailing us directly at media@thecooleststuffintexas.com . Fill out all fields below and we'll get back to you as soon.